The MLA newsletter is chock-a-block with articles, resources, technology, success stories, interviews, and big picture ideas on all Lending Academy features. Every member of the cohort grew their lending; by anywhere from 5% to 35%. The cohort as a whole grew by 26% over last year, and 113% over the base year, more than doubling the number of loans made (see graph left). 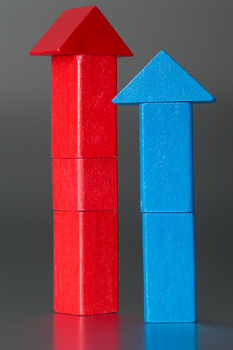 Working Solutions especially has seen substantial growth in the past two years, almost tripling its lending activity. Three new lenders have joined – MEDA, Fresno CDFI and Mendocino’s Economic Development Finance Corporation. Read the entire MMS Year Two Report. In August CAMEO pulled together the growing MMS tribe in August for discussion, learning and trading ideas. First we asked everyone what they like best about MMS and got some great answers. We also asked what they would like change about the system. Then we turned our attention to shortening the loan cycle with MMS. 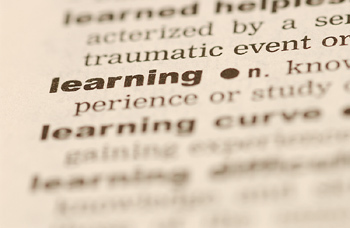 Read the MMS Lessons Learned post by Susan Brown. Contact Susan if you’re interested in learning more or participating in the MMS program. MMS, developed by LiftFund (formerly Accion Texas), provides instant risk assessment and fast, quality underwriting to support microlenders in scaling up and maintaining strong portfolio performance. This story comes to us from Women’s Economic Ventures. HEAT Culinary was one of WEV’s first applicants under the Microloan Management System (MMS), and has gone on to great success since receiving a loan from the organization. She’s opened a storefront and a food truck, and has many other projects in the hopper. We’ve written a lot about the disruption in small business lending, especially in communities that have been underserved. Because banks have basically abandoned the small business lending space, a number of new players have entered the arena. Merchant Cash Advance companies are now providing six times more financing to small businesses than SBA loans. This transformation will achieve its potential only if it is built on transparency, fairness, and putting the rights of borrowers at the center of the lending process. To that end, a coalition – Accion, Aspen Institute, Fundera, Funding Circle, Lending Club, Multifunding, Opportunity Fund and Small Business Majority – identified the fundamental financing rights that all small businesses deserve. The right to transparent pricing and terms, including a right to see an annualized interest rate and fees. The right to non-abusive products, so that borrowers don’t get trapped. The right to responsible underwriting, so that borrowers are not put into loans that they cannot repay. The right to fair treatment from brokers, so that borrowers are not steered to the most expensive loans that pay the broker the highest commission. The right to inclusive credit action, without discrimination. The right to fair collection practices, to prevent harassment. If you’re a small business lender, credit marketplace, or broker, you can sign the bill of rights. If you are another interested party, you can become an endorser. CAMEO has signed on as an endorser. The coalition members decided that rather than hold their breaths for regulation that they would define responsible lending and educate small businesses. They’re also hoping to put market pressure on lenders to adopt more responsible lending practices. Participate in a conversation about BBOR and learn about the ways it can help you educate borrowers and promote responsible lending practices on October 15, 2015 at 11:00am PT // 2:00pm ET. At the end of August, Opportunity Fund talked about scaling to reach more underserved businesses. The big take-away was Opportunity Fund’s willingness to reflect on its process, question the sacred cows of lending, conduct fresh analysis on its own portfolio performance and then, undertake the challenge of organizational and process change to improve performance and scale. Their process — which does not use high tech algorithms or online applications — led them to close 1,560 microloans this past year. The business model that allows such scale has elements that all leaders in the CAMEO lending network need to consider. 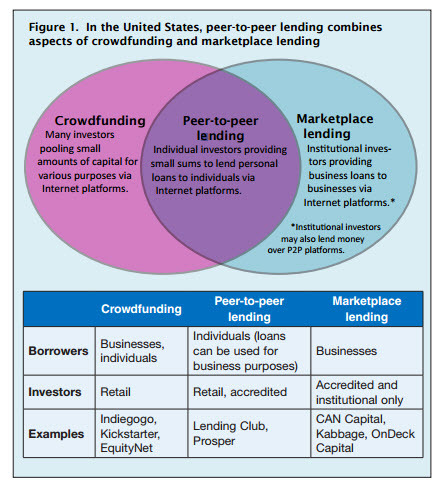 Peer-To-Peer Lending (P2P) in a recent issue brief on “Peer-To-Peer Lending: A Financing Alternative for Small Businesses”. P2P is a business funding model in which individual investors make small personal loans online to individuals – a kind of a hybrid between crowdfunding and marketplace lending. The issue brief explains P2P and shows a side-by-side view of P2P and how it stacks up with traditional small business financing options. It also shows how it could affect small businesses in the future, giving them more opportunity for financial growth..
SB 197 (Block) was signed by the governor! CAMEO co-sponsored SB 197 with Opportunity Fund and pounded alot of pavement in the Capitol to make it happen! The bill removes a competitive disadvantage that currently affects licensed commercial lenders in California. In essence, the bill allow CAMEO’s microlenders to pay referral fees to consultants, non-profits (e.g. TA providers) and others who refer successful loans, subject to certain restrictions intended to promote responsible lending. It also will give your clients more information about affordable lending products. The Senate is considering legislation passed by the Senate Small Business Committee that would change the SBA Microloan program. While some of the changes are beneficial to intermediaries, counselors, and entrepreneurs, the bill fails to include critical reforms that program participants have requested. For example, the current legislation would allow a waiver from the 25/75 Technical Assistance (TA) requirement to be issued by SBA. This is really unnecessary paperwork and the requirement should be removed all together. Providing business assistance that supports entrepreneurs should be at the lender’s discretion. AEO and CAMEO believe that microloan reform legislation without important changes will not best benefit the program and its users. We urge you to add your organization in support of this letter to tell the Senate to include these reforms in their legislation. If you are willing to sign on, please email our Government Relations team member John Stanford. The Wall Street Journal calls for data to show lenders how they stack up against their competitors, and encourage them to rethink their lending strategies. Intuit and OnDeck have teamed up to make loans available through Quickbooks.